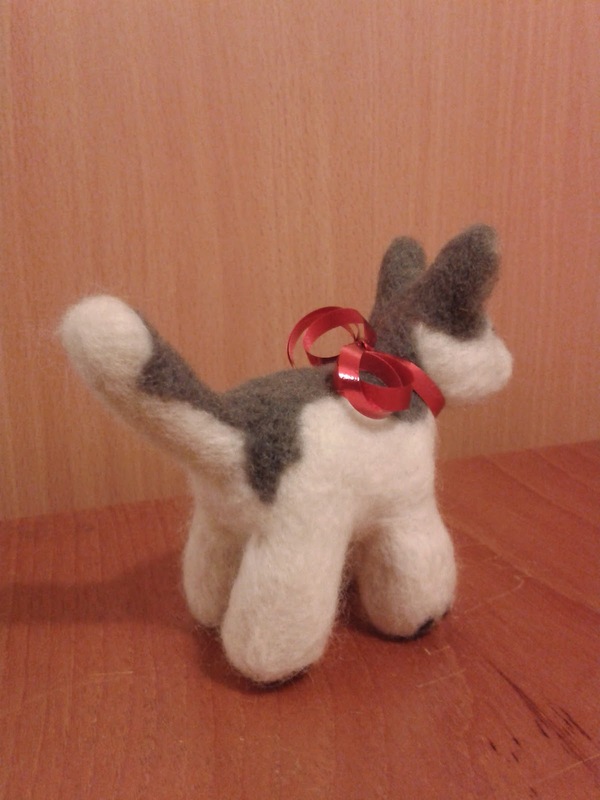 It was my colleague's birthday this week, and she had been hinting that she'd love a felted dog. 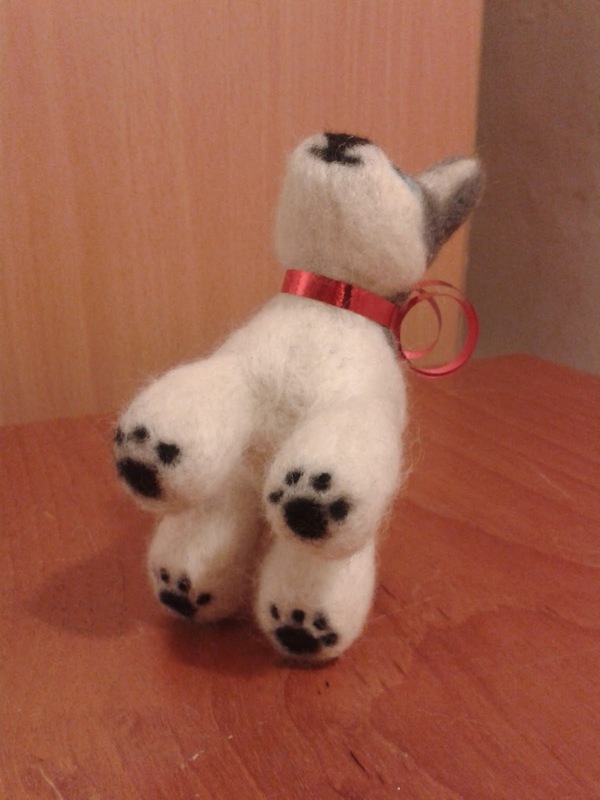 I knew she has two huskies, so... felted husky! 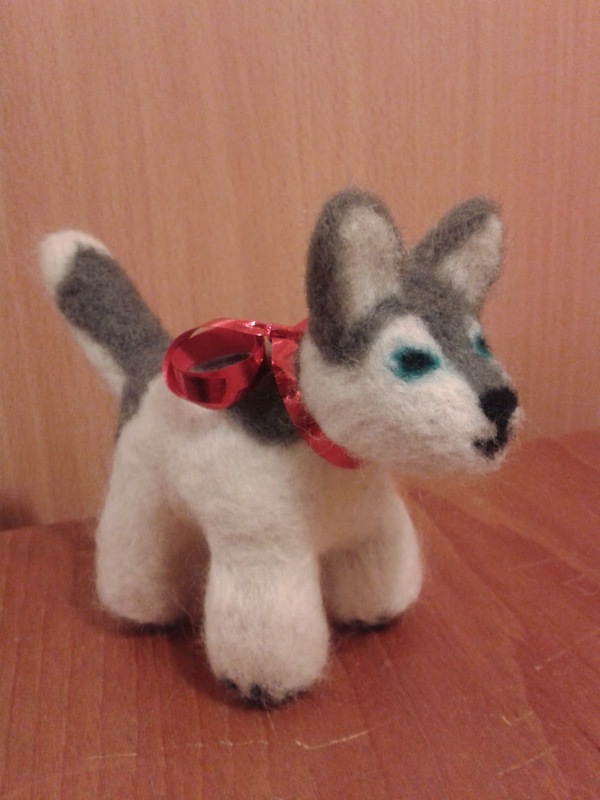 This is actually the second non- neko ball project I've felted- the first being my needle felted Amaterasu wolf- which will be my next post!